It can be hard to believe, but in order to be any good at stand-up comedy you have to be a skilled actor. Audiences often go into a show with the mistaken impression that a comic’s stage persona is identical to how they are in real life, and that whatever’s on stage is just that person, raw, and unfiltered. If in real life, Louis CK were truly a black hole of happiness, or Chris Rock truly race relations with the volume turned up to eleven, they’d be impossible to deal with. Their personas are the result of careful consideration, significant field-testing, and major acting chops. Most comedians don’t venture too far outside whatever zone in which their persona’s nestled--see, for instance, everything Kevin James has ever done. But sometimes they get to stretch their legs a bit, and they end up turning in work better than any of the matinee idols they beat for the parts in the first place. Patton Oswalt is one of my favorite comedians working today, and it was his performance in this movie that inspired this list. Oswalt’s comedic persona plays up the geeky tendency to obsess over small details, and he exports that shade of himself to great effect in his portrayal of Paul Aufiero, a die-hard Giants fan with little else going on in his life. Oswalt himself doesn’t follow sports at all, but you’d never know from how enthusiastically his Paul throws himself into every game and every call-in rant he delivers to Sports Dogg’s radio show. The man has a well-known bit about how he once refused to answer a Star Trek-related math problem because it misidentified Chekov as firing the Enterprise’s phasers. Bringing that same obsession and lack of perspective into a darker place, the end result is a kind of lighter Travis Bickle that still retains his edge. Steve Martin’s done serious work here and there throughout his career. But never has he played a world-class shitheel like The Spanish Prisoner’s Jimmy Dell. The film, named for an old-timey version of the Nigerian prince scam, sees Martin setting up an innocent man and systematically ruining his life in the pursuit of profit. Every time the film’s hapless hero attempts to turn things around, Martin is two steps ahead of him, and every single ally to whom he turns is a pawn Martin put in place to erode his position even further. Jimmy Dell has all of Steve Martin’s charm, and when funneled through the prism of David Mamet’s powerhouse dialogue, the resulting character is a believable schemer with a corrosive touch. AMC’s--and possibly TV’s--best show was strong out the gate, but it truly became the behemoth it is today when it allowed its world to expand. That meant buttoned-down kingpin Gus Fring, laconic and world-weary hitman Mike, and this guy: a delightfully obnoxious dot of color and noise in a tightrope-tense world. Odenkirk’s Saul Goodman is a master of the ambulance chase, and probably the only male character who A) smiles and B) has hair. The man is the proverbial scorpion on your back: he never shies away from being what he is, and even if his mouth says otherwise only the truly foolish would ever believe it. 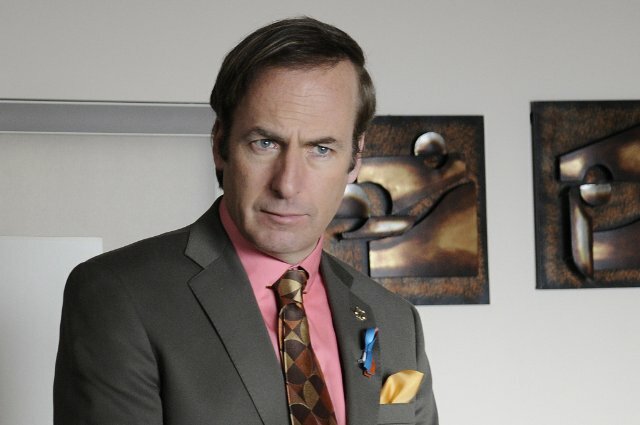 A dramatic actor might be tempted to find some kind of darkness or deeper layer in Saul, but Odenkirk knows the man’s all about surface, from his bus bench ads to his candy-colored outfits. Robin Williams has a type, probably best codified as the Genie from Aladdin. But he also has a sub-type, where his expressive face elicits chills instead of laughter (though admittedly, it’s been a few years since laughter was part of the equation). He’s turned in some great drama work, but none top his portrayal of Sy, a lonely, obsessive photo developer in 2002’s One Hour Photo. Sy idealizes a family whose pictures he develops, and fantasizes about becoming a greater part of their life. Much of that takes place internally, so it falls to Williams to convey that onscreen. He does so with just the right amount of almost-humanity, and just as well; the camera remains riveted on him the entire time, fixed as the eye of Sauron, and Williams never lets any of his usual self bubble to the surface. It’s a shame, both that the movie never found a wider audience and that Sy’s job no longer exists. Williams’ performance is excellent, but the focal technology has the unfortunate side effect of dating the film. Jon Hamm first made his mark as well-dressed charlatan Don Draper, in a role about as humorless as they come. But in almost every other project in which he’s worked, he’s revealed incredibly deft comic instincts. His TV resume reads like a comedian’s wish list: 30 Rock, Bob’s Burgers, Todd Margaret, Metalocalypse, Childrens Hospital, and SNL, just to name a few. He was also one of the brightest spots of Bridesmaids, making a lasting impression with just two scenes. Comedy is just another thing Jon Hamm is good at, in addition to pretty much everything else ever.